Designed for maximum versatility, the Men's Fuse Crew is the go-to base layer for the broadest range of temperature and weather conditions. The lightweight, 200 gram Aerowool fabric used in our long sleeve crew neck provides the perfect balance of moisture-wicking breathability and lightweight insulation to make it an essential piece throughout the hunting season. 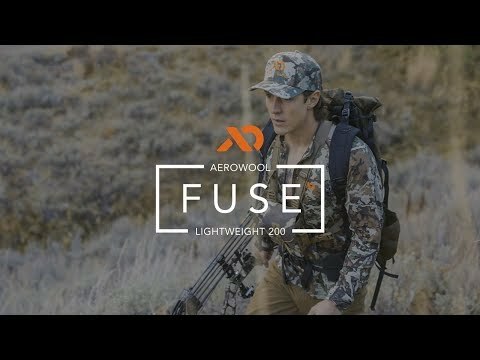 Lightweight 200 Aerowool construction combines the finest, 17.5 micron merino wool available with 37.5-activated nylon fibers to create a super-charged fabric with incredible performance benefits. What you get is enhanced odor resistance, exponentially improved dry times, increased durability and moisture wicking, and a fabric that can cool you down when you're heating up and warm you up when it's cooling down. This ended up being my initial purchase made from First Lite. I've bought several other merino base layers from KUIU and Black Ovis since this piece. I wanted to have a variety for all conditions. Well that was a dumb move on my part. This piece blows the others out of the water as far as fit and comfort. I'm not sure what they do differently than the other companies but the merino blend they use is twice as soft, less itchy and excels in all conditions. I used it to take my 2 year old out on a hike in his pack carrier the other day and I was shocked at how well it performed. Temps were about 28 and there's still a ton of snow on the ground. I stayed warm and dry. This will be my go to piece this September out west and will make a great outer and base layer for fall whitetails in frigid Minnesota temps. I'll be stocking up on more first lite gear before the fall and recommending them to everyone I know. True to size, fit great even with a small dad gut! This product is great. So far it has been great as an only upper layer in the early bow season, and a wonderful base layer as the season progresses. I would highly recommend it! Love the versatility on this crew. As a next to skin first layer it excels, but I most often where it as a stand alone throughout the day. Couldn’t be more pleased with the fit and features for these purposes. I was concerned it would be too small or large based on what I was reading in other reviews compared to people’s stated height and weight. No concerns now. The large fits perfectly. Not too baggy and not too tight. Fantastic base layer for exploring. As far as sizing goes I’m 6’2” and roughly an athletic 260lbs. I ordered this in XXL and it fits good but If I wanted it a bit more snug fitting I could have went with XL and been happy, it’s seems plenty long too. . I wore it on a short hike after I got it on an overcast mid April day. Cooler and damp out but about 50-58 degrees out and I worked up a good lather with just this and a back pack on. No doubt it will be warm as a base layer in October and November. I was most impressed in how it dried out very quickly. Within 15-20 minutes of stopping to eat it was nearly dry again and had no smell after I had sweat pretty good for close to an hour. Would recommend as a top layer in early fall hunts and as a great base layer. This has become my favorite new baselayer. Good weight for a lot of different conditions and seasons. Fit was perfect. I was worried about a large being too small but being 5’11” 190lbs this fit perfectly. I don’t use the thumb holes but I like the longer sleeves that come with thumb holes due to a longer wingspan. I think the 200 is the best all around shirt. The 150 is about the thickness of a tshirt. This is slightly thicker. The 350 seems to be about double this shirt and feels more like a jacket. I normally wear an xl (47" chest) but got a 2xl in this shirt and the 150. The fit of the 2xl in this shirt if perfect. It was a little loose on the 150. Fits perfect. Can’t wait to use it in the field from Wyoming antelope to Wisconsin Whitetail - material is amazing! Fits perfect - sleeves are a bit long but that’s a side effect of being 5’6”. Very happy with this one too. This will be my upper baselayer on a post-rut 2nd rifle Colorado bull elk hunt. I expect the cold won't be a factor. Shipping time was super fast as always, even during a major sale. Excellence all around, as per the usual FirstLite custom. Just a bit loose but that may be a good thing. First merino top ever bought. Will only be buying merino tops going forward. Bought without seeing and don't regret it. Fit and feel for a baselayer outstanding. Will be used for hunting in Michigan and Montana. I wasn't sure if this would be the right weight for my baselayer underneath the Kiln Hoody. I kept going back and forth between the Fuse and the Wick. I am glad I chose the Fuse Crew. It has a little more weight to it but is still extremely soft and comfortable on the skin. I think the weight will be perfect for wearing alone on cool days and will fit perfectly as a baselayer on the colder days. I haven't tested it much in the field but I even think this would work in hotter weather as a cover for the sun. I would definitely recommend this as a must have piece. Good job Firstlite! Got this piece during the pre order and boy do I love it. I have been wanting a crew neck top from First Lite for sometime now and this fulfilled my expectations. The material is soft against the skin and comforting. It breathes well in warmer temps and keeps me warm when it cools off. Definitely one of my go to next to skin layers. I got the conifer color and really like it. This thing kept me warm on my hunt. It also kept me cool. Only thing I didn’t like was how my binocular chest pack made little balls of wool where the chest case was from the rubbing. Overall I really like it. Why is it year after year you are sold out of the products I want to buy? Here we are a month before hunting seasons start and you are out of multiple products, colors, and sizes....I just don’t get it. Bought this to use as a base layer for northeast whitetail. This is going to the first piece on for just about every hunt I go on. Fits perfectly as base layer. This is the first piece of First Lite gear and first piece of merino wool clothing I have ever purchased and I must say - it is worth it. I was worried about itchiness with wool but I have yet to experience any discomfort with this top. I've worn a handful of times now with temps from 50-60 degrees and I was comfortable, but starting to get a little hot here with the Iowa humidity when getting into higher temps. 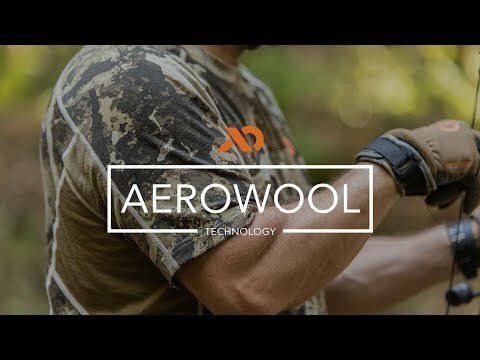 I will also be picking up a 150 Aerowool top. I'm 6'1 and around 210 pounds with an athletic build and the Large fits great.